Australian made and guaranteed fresh. 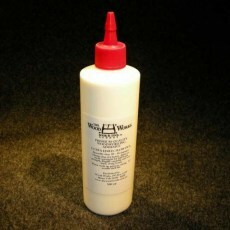 Fast cure, high strength general purpose, modified PVA. Open time 3mins, 30 mins clamp. Water wash up, minimal OH&S cautions. Wood Works decanted.